Bria and Christina Gilmore are gifted, talented and outstanding students. The cousins, both seniors at Omaha’s Central High School, are blazing new trails by representing the state of Nebraska on the national stage. They have achieved this accomplishment in the all-important areas of Science, Technology, Engineering, and Math (STEM). After advancing from a competitive Omaha metro science and engineering fair in March 2018, they scored in the top 5 at the Omaha metro science and engineering fair which led them to advance to the Nebraska Junior Academy of Science competition. 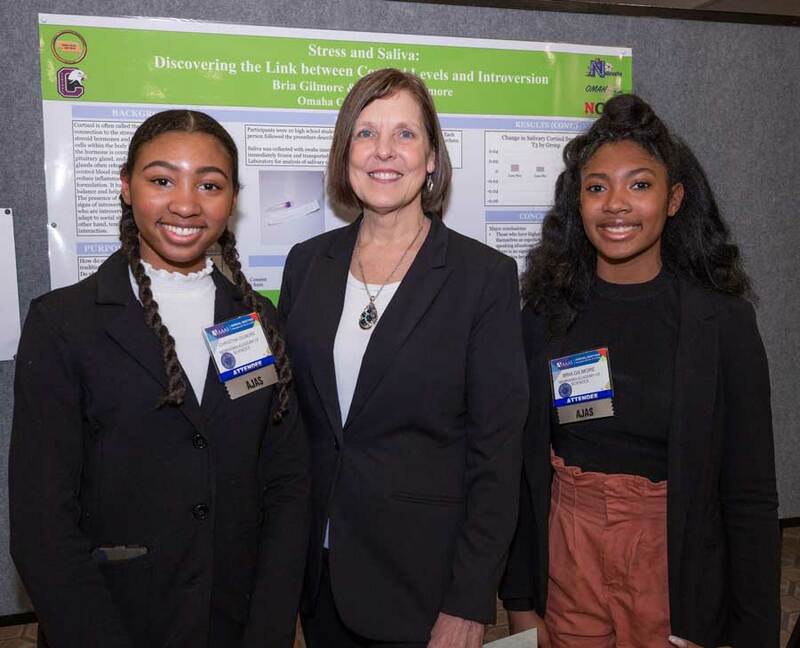 They were chosen as top ten finalists at the state level which catapulted them to the national competition at the American Junior Academy of Sciences (AJAS), held in Washington, D.C. The AJAS is a national honor society which recognizes America’s premier high school students for outstanding scientific research. The event was held in February 2019 in conjunction with the American Association for the Advancement of Science. Bria and Christina have honed their skills during the past four years through science initiatives at Omaha Public Schools. After their highly successful state performance, they became delegates which generated their appearance at the national competition. The AJAS exposes delegates to all aspects of STEM throughout the event. Delegates participated in innovative and industry-leading opportunities including breakfast with leading scientists. Participants also receive encouragement and advice from top professionals in their fields. Each delegate presents a poster of their work and participates in an oral presentation. Bria and Christina’s presentation was titled: The Impact of Personality on Perceived Stress. Their hard work has paid off and they are both preparing for promising careers with college as their next stop after graduating in May. Revive! Omaha Magazine salutes Bria and Christina for their commitment to excellence. Photo credit of: Michael Colella. 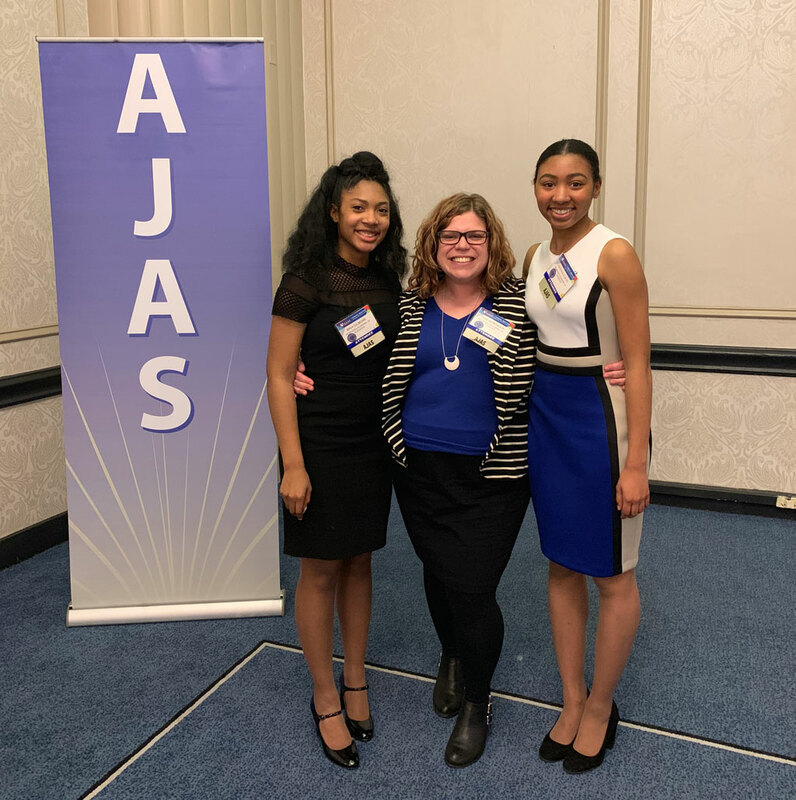 Christina (L) and Bria (R) with AJAS President Lee Brogie.